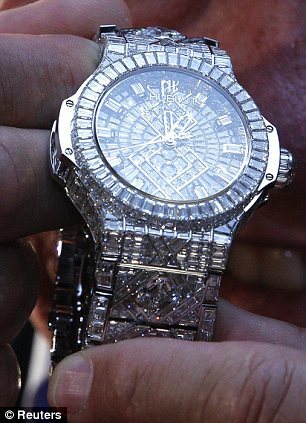 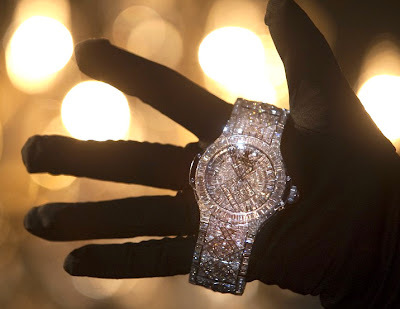 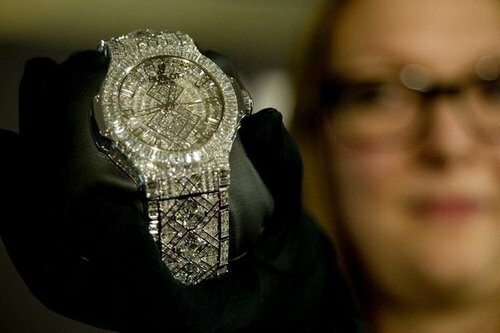 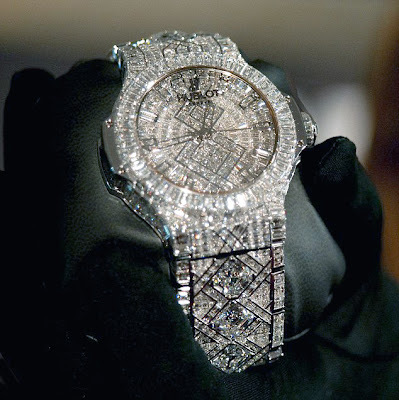 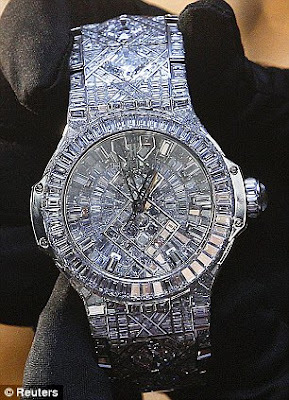 BASEL, Switzerland (AFP) - Swiss watchmaker Hublot unveiled on Wednesday, preview day of the Baselworld Watch & Jewellery Show, the Swiss watch show's most expensive watch, which carries a price tag of US$5 million and is inlaid with with 1,292 diamonds - including six stones each weighing more than 3 carats. 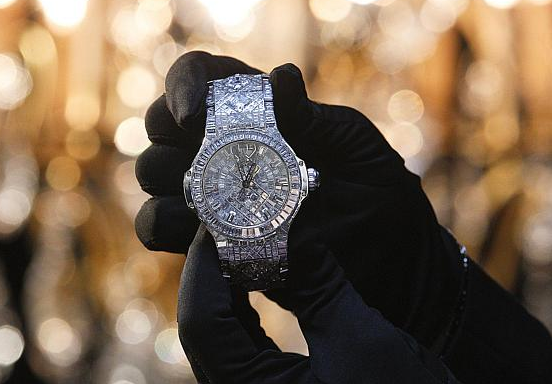 It took 17 people 14 months to set the more than 140 carats of diamonds on the watch's white gold bracelet, said Mr Biver at the world's biggest watch show in Basel, which opened to the public yesterday. Several people have expressed interest in acquiring it, said Mr. Biver, without giving details.